November 2018 will be a month to forget by crypto enthusiasts since the bear market that started at the beginning of the year continued to edge lower impulsively. 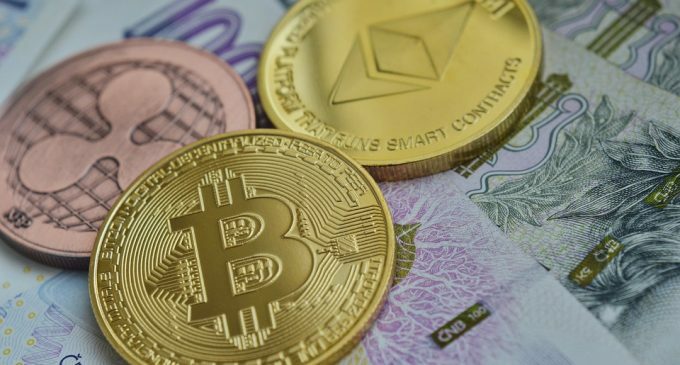 This month, cryptocurrencies had reached new yearly lows and fortunately, it will soon be over and December, a historically good month for digital assets, will follow. Correction starting – more gains ahead? Starting from November 27th, cryptocurrencies had managed to recover significantly. Ethereum is up more than 20% from the lows, after briefly breaching below the 100 psychological level. Bitcoin had bottomed out in the short-term, around the 3,500 support area, which we have mentioned in our last weekly crypto analysis. Right now, the price is at 4,214 on the Bitstamp exchange, which means bulls managed to generate a 20% upward move. Probably the most favored cryptocurrency this month was Ripple, which had managed to become the second largest cryptocurrency by market cap, after exceeding Ethereum. Speaking of market cap, at a global scale we can see a surge of $20 billion in global market cap just in the last three days. Although pessimism is now at record highs and people begin to question the reliability of cryptocurrencies, a contrarian approach is more suitable. As a famous banker, J.D. Rockefeller, once said: “When there’s blood on the street, buy everything you can”, and given the current circumstances, there’s a lot of “blood on the streets”. Cryptocurrencies have lost more than 80% of their value, compared to the highs of 2017 and during this period of bearishness, the market participants had priced in all the bad circumstances. With all the bad stuff priced into the market + current extreme oversold conditions, the cryptocurrency market could start to overreact to any small positive news. Also, we expect market participants to begin pricing in future events, including the launching of the Bakkt platform, which will contain a new Bitcoin futures contract, the first one backed by physical Bitcoin. Recently, the famous exchange platform Huobi had announced the launching of cryptocurrency-related derivatives, enabling people to profit from rising and falling markets, as well. We can notice a certain tendency to increase the number of tools people have to get involved in cryptocurrencies and for the longer-term, this could foster growing investments into the market. Although a recovery is expected to take longer than expected, we believe cryptocurrencies have room to grow on the upside.